Betelle Takes a Stand » James Betelle, Where Are You? Happy accidents are rare in the musty world of research, so I do all I can to make them happen. To that end, if I’ve gotten hold of a paper or journal with a specific article I need, I don’t leave it at that. I will comb the entire volume, and even flanking issues, in the unlikely hopes of stumbling upon some thing good. In the issue of Pencil Points I wrote about previously, I did just that; after reading the sought-after article, I flipped through the rest of the magazine. My eye, attuned to catching James Betelle’s likeness and name in print, saw this photo immediately. It’s attached to an article on the “A. W. Brown Traveling Scholarship Competition for 1931,” to which Betelle served on the jury of five architects. The Competition posed the problem of A Private School for Boys, the grand prize of $2,000 going to one J. Davidson Stephen of New York City (I don’t know what became of him, except that some of his papers are in the Smithsonian archives, and he knew Eliel Saarinen, which ain’t too shabby). This is the first photo of Betelle I’ve found that’s not a stiff portrait. It’s posed, but seeing the the man standing in a real setting makes him feel a bit more alive. He’s got a dapper thing going on with the double breasted coat, and seems a tad more relaxed than his stern fellow jurors (particularly the shady-looking Howard Hughes look-alike). 1931 was one of the last good years of business for Betelle before the Depression really took hold. 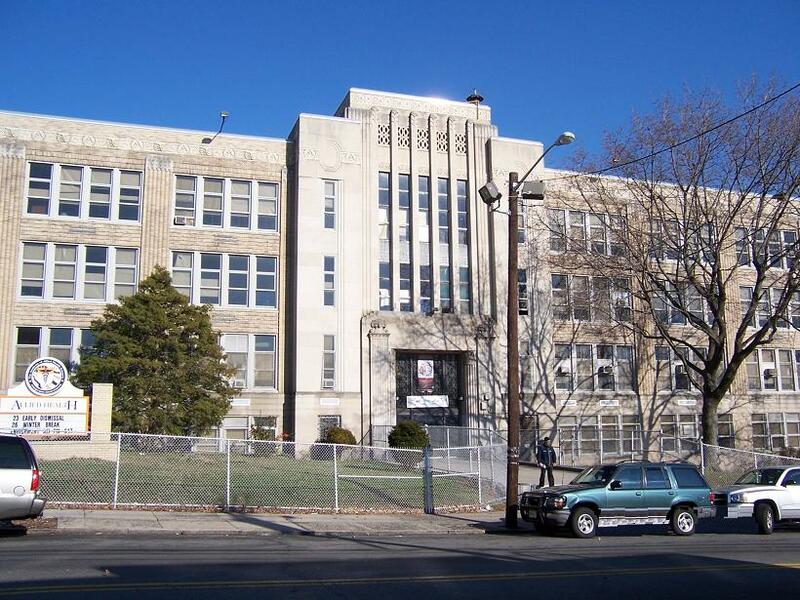 In Newark alone, The Essex County Girl’s Vocational School and The Newark School of Fine and Industrial Art were recently completed, and Weequahic High School was under construction. For the moment, at least, Betelle appears content.